paradise now - >> mind the __ GAP* ? Hany Abu-Assad’s film Paradise now , which follows for the period of 24 hours two friends living during an oppressive political crisis, who seek to make choices that will impact on a future they no longer believe in, has attracted quite some attention at the Berlinale festival. 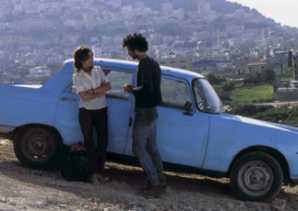 It won the Blue Angel award for best European film. .. more on Hany Abu-Assad in village voice and ..
Further short clips on the berlinale and new films in general can be found on greencine daily, a blog with quick daily dispatches.